13. Mary Speedy. Daughter of Thomas Speedy & Isabella Patterson. Born 1 May 1853 in Harvey. Christen in Harvey By Rev. Daniel McCurdy. Died 1 Aug 1902 in St. Stephen. Religion Presbyterian. 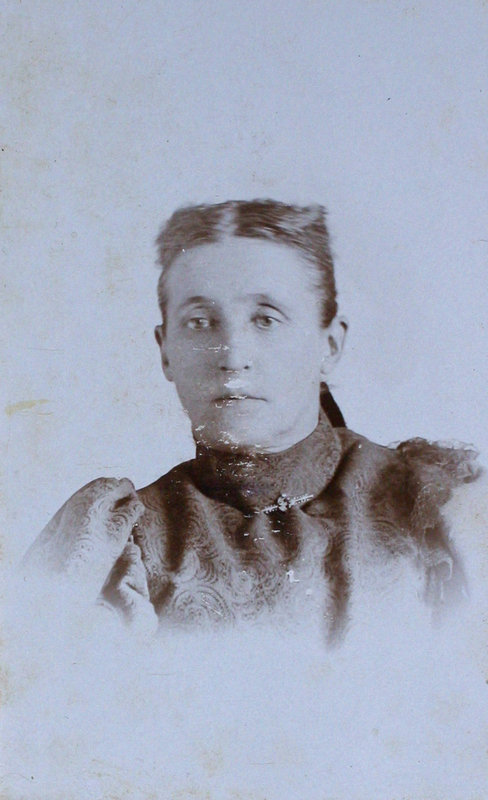 Mary, age 27, is listed in the 1881 Census for Manners Sutton, living with her parents Thomas and Isabella Speedy, but not listed in the 1891 Census. From the St. Croix Courier, 14 Aug, 1902,-- Mary Speedy died 1 Aug 1902, in St. Stephen. 2884. 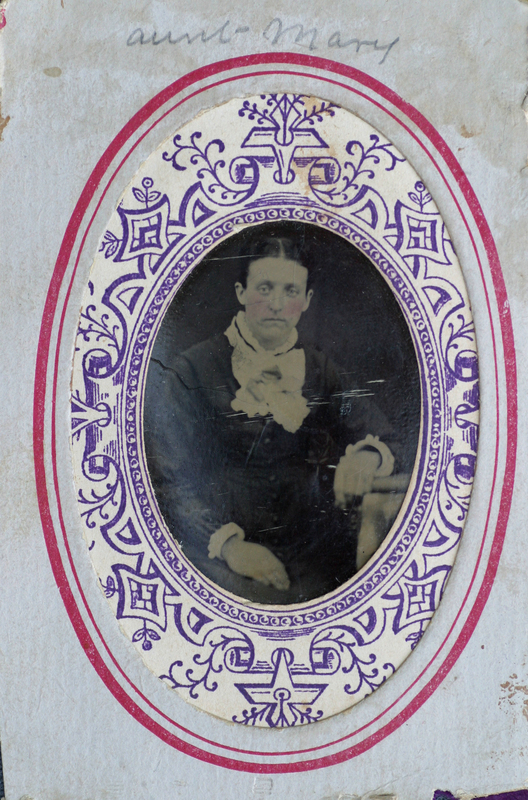 Undated tintype image of "Aunt Mary". Mary Speedy (1853-1902). Source: Darrell Messer, Harvey, Rephotographed by Tim Patterson. 26 Jul 2007. 4264. 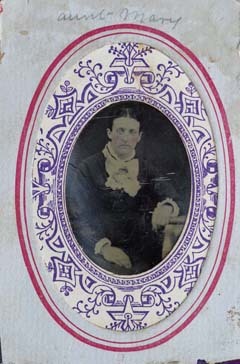 Undated cabinet card of "Aunt Mary Speedy". Mary Speedy was the daughter of Thomas Speedy & Isabella Patterson. b 1 May 1853 in Harvey, York Co., N.B.. d 1 Aug 1902 in St. Stephen, Charlotte Co., N.B.